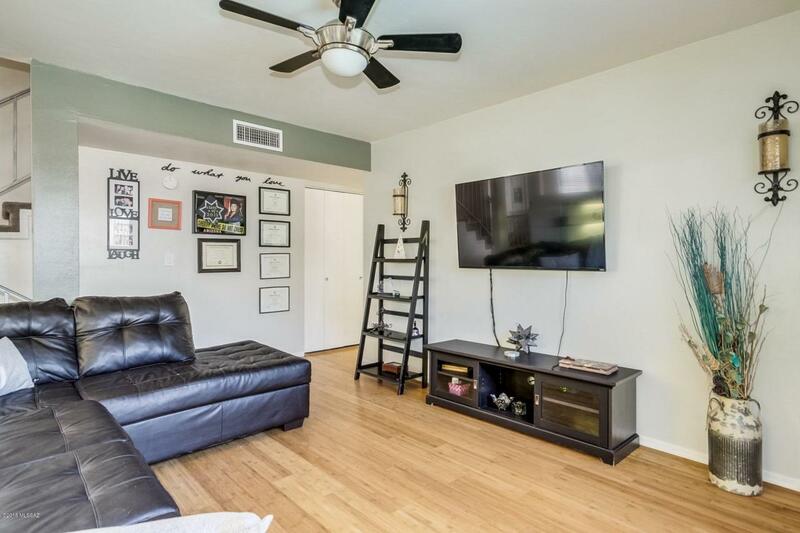 Comfortable tri-level home awaits you! 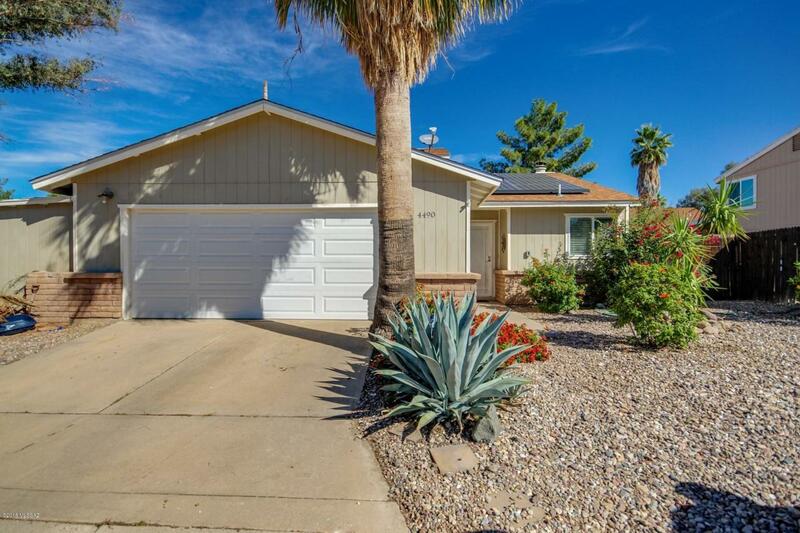 Beautiful bamboo floors, new carpet, vaulted ceiling and in-demand kitchen style are only a few of the features you will love. 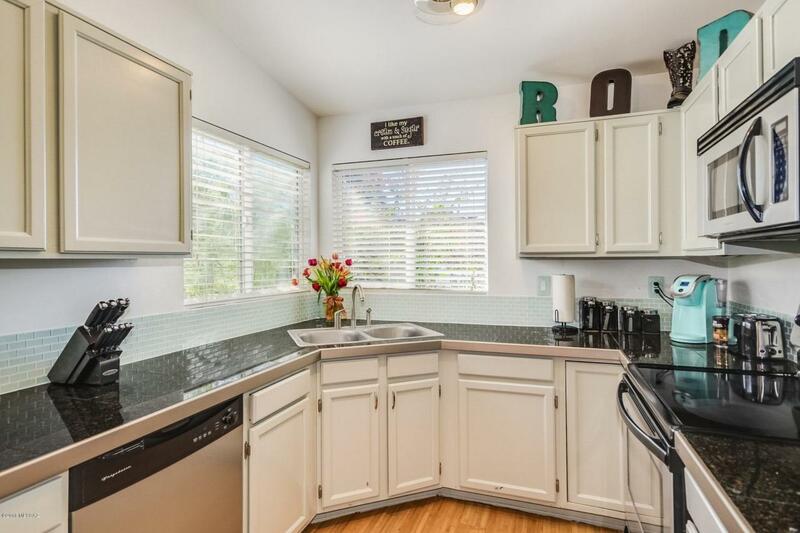 This kitchen is perfection with stark white cabinetry, gorgeous tile granite counter tops and stainless steel appliances. Subway style back splash adds a great accent! Neutral color palette throughout will embrace your furnishings from the start. Upgraded sinks and vanities are of utmost taste and style. Bedrooms are generously sized. 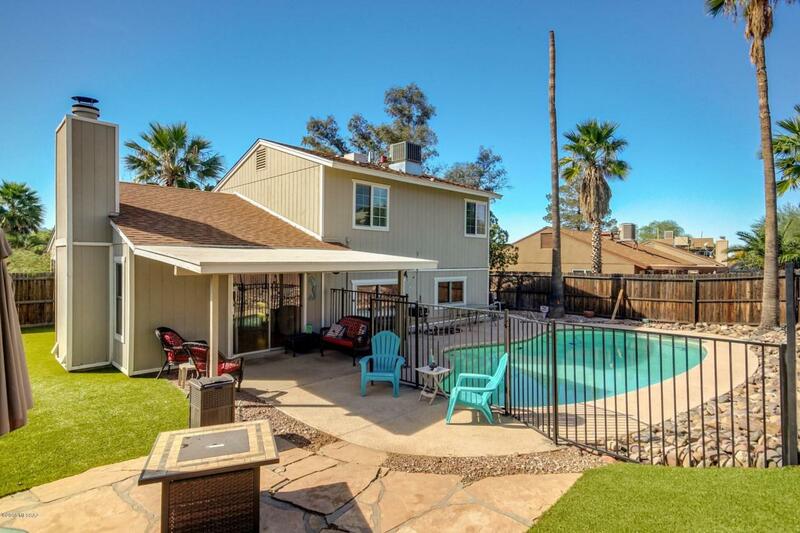 Enjoy outdoor AZ living in your own oasis with flagstone patio and fenced in private pool. Mature palms and artificial turf provide that tropical feel, right in your own backyard!